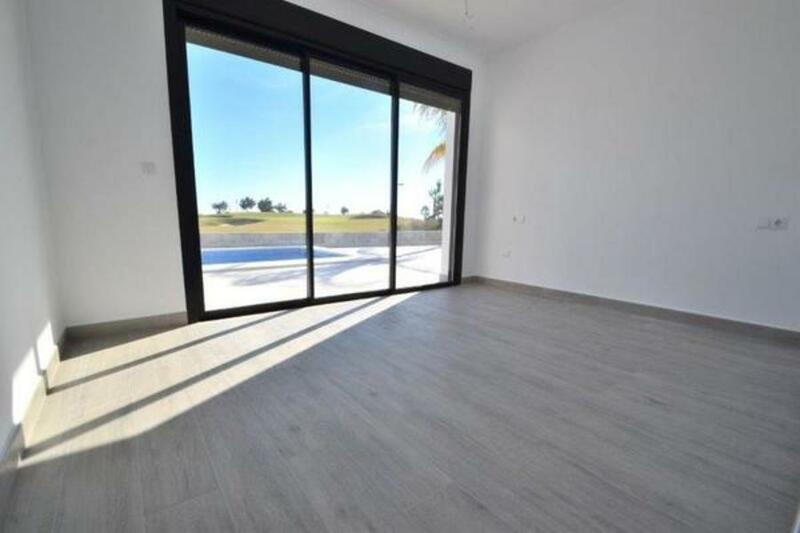 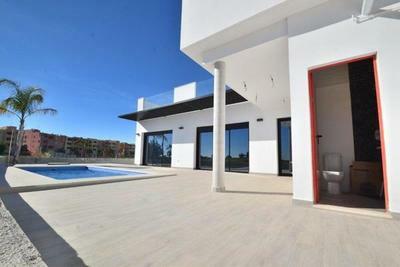 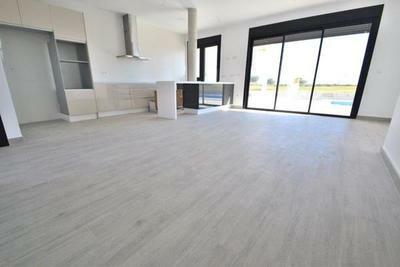 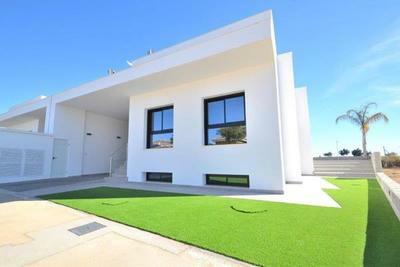 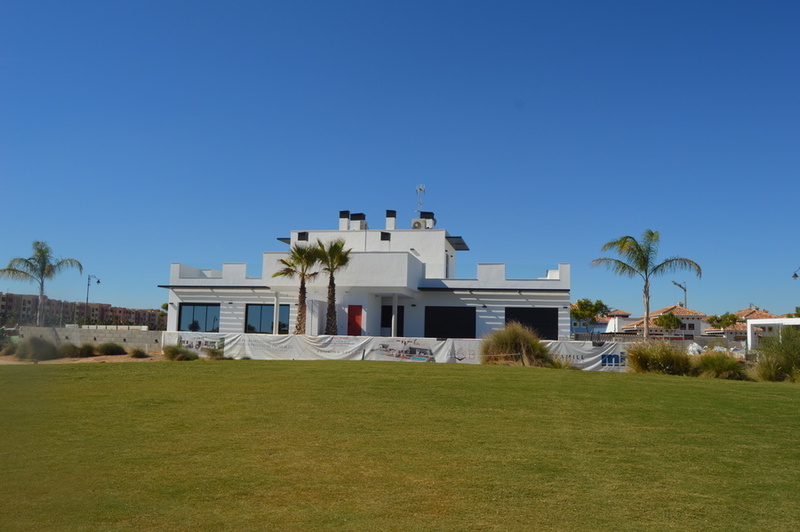 We have available the last of these two stunning Mar Menor luxury villas. 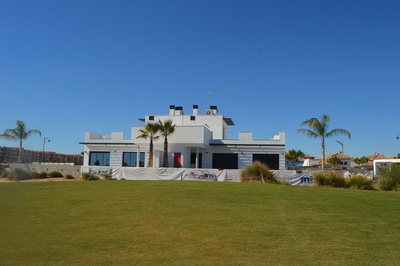 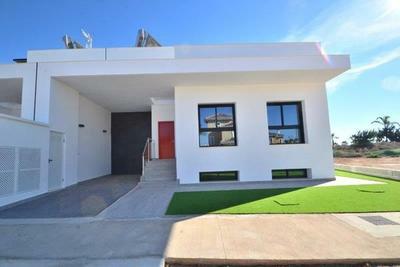 The villa sits in a fantastic location on the resort, in a large plot with front line golf views. Inside there is a fantastic open plan living, dining and kitchen area, with modern high gloss units and floor to ceiling doors which lead out to the terrace areas, Private salt water swimming pool and outdoor summer kitchen. 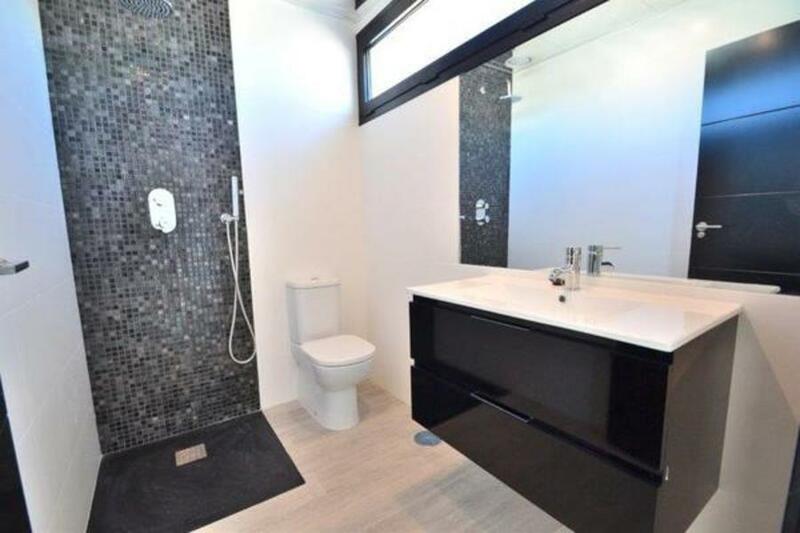 Back inside there are 3 great sized double bedrooms all with fitted wardrobes and 3 modern bathrooms. 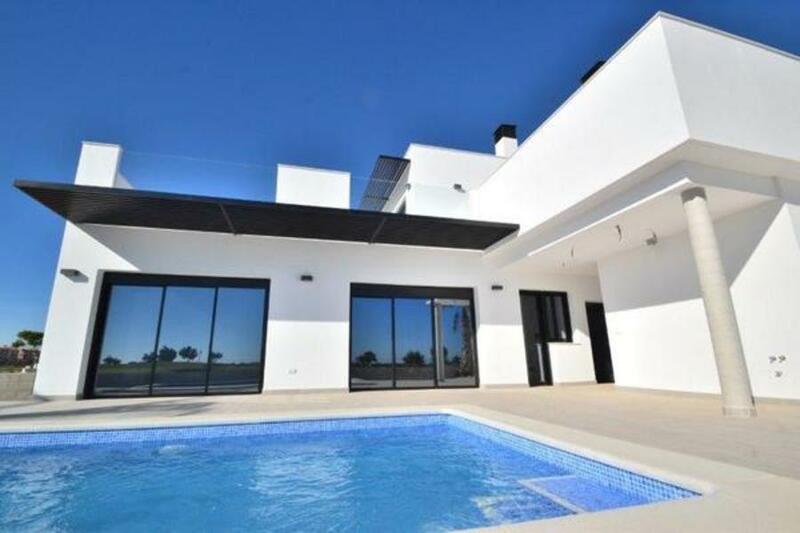 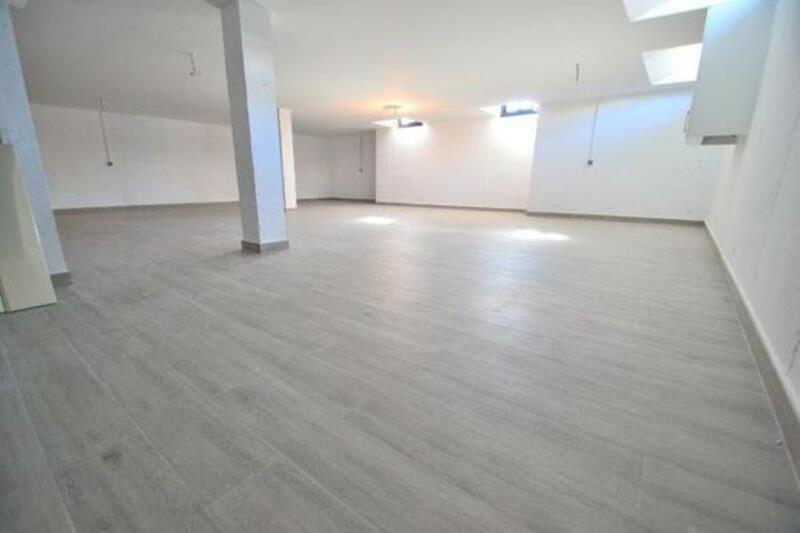 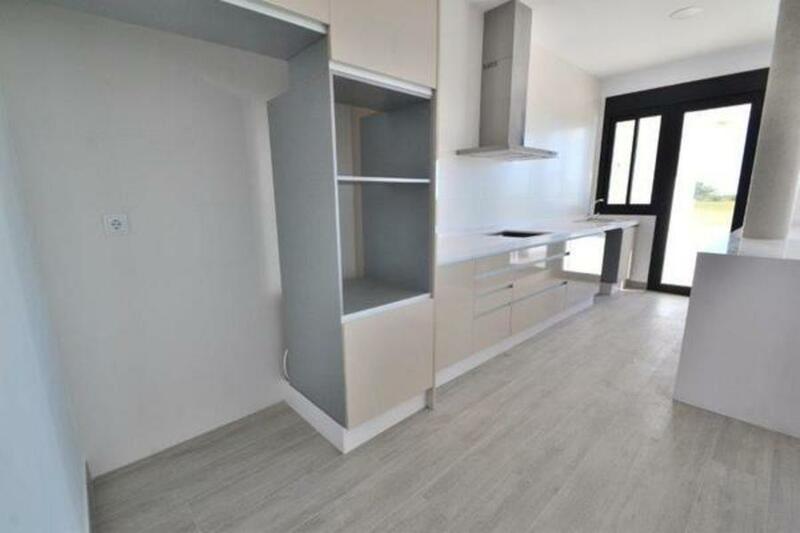 This villa also boasts a huge 140m2 basement which has been fully prepared for you to convert into a home gym, office, cinema room or anything else you may wish. 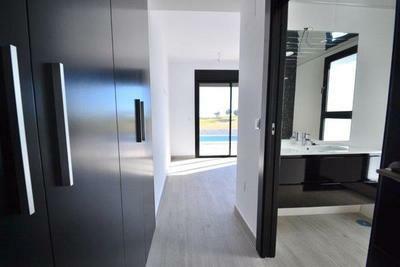 To the side of the property there is separate access to a first-floor bedroom and en-suite bathroom, and also the doors leading out to the stunning rooftop solarium. 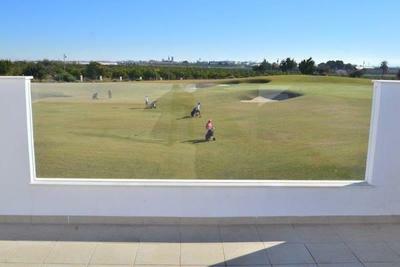 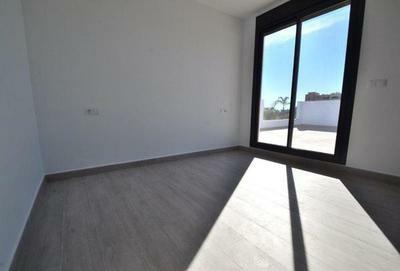 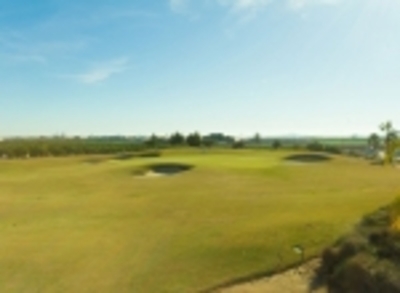 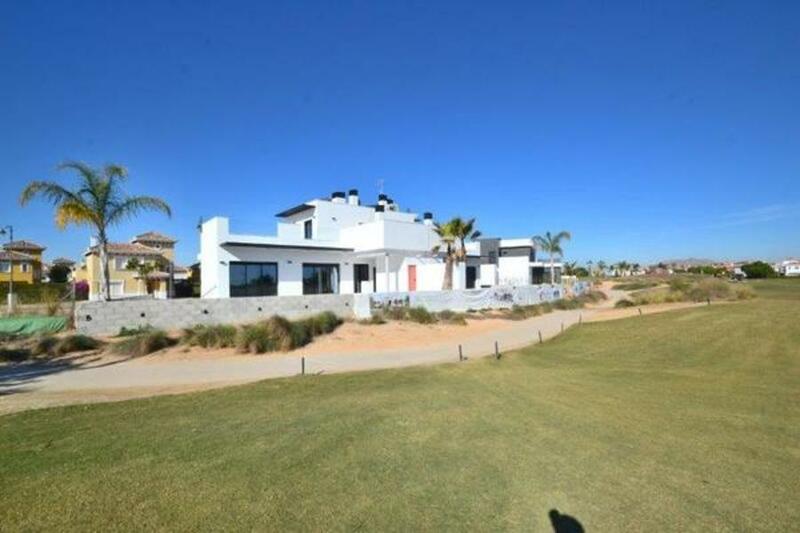 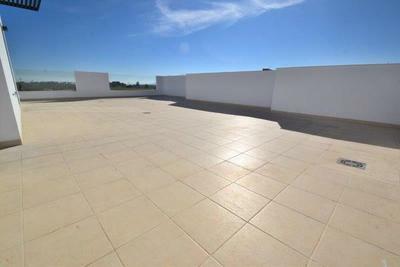 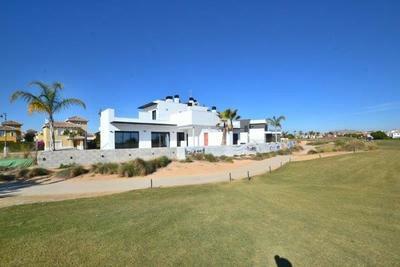 From here you have views over the whole resort, golf course and down towards La Manga. This really is a unique property and a chance to own a modern villa on this established resort.